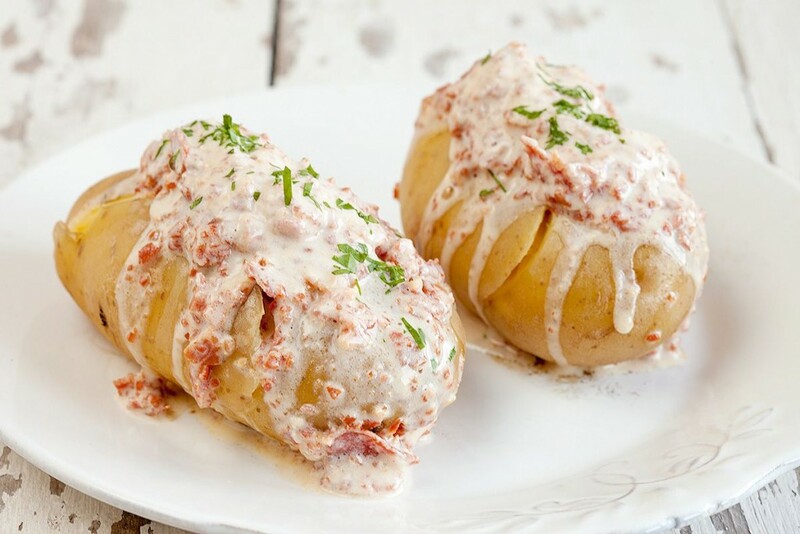 Bacon sauce with bbq potatoes only needs 4 ingredients and is ready in 50 minutes. It’s so damn good! Potatoes? Yum! Bacon? Yum! Crispy bacon gives almost every dish a perfect finishing touch. 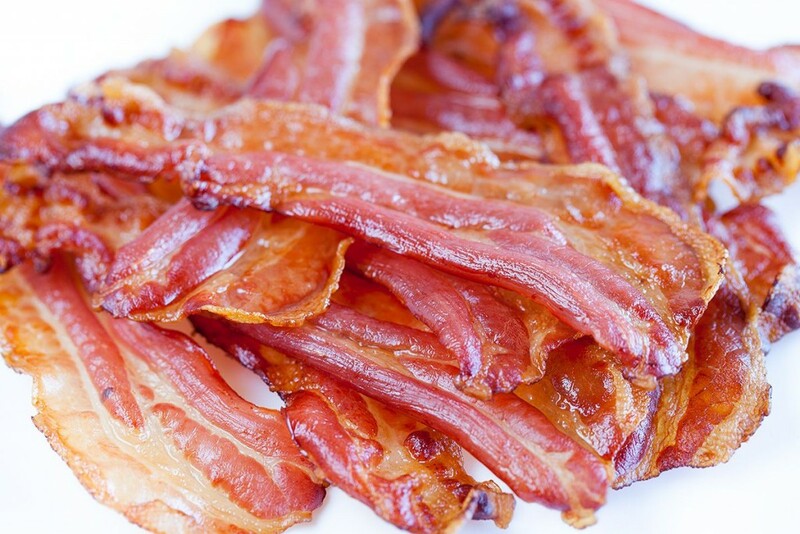 The most easy and delicious way to achieve this, is baking the bacon in the oven. No more standing at your stove, waiting and flipping over bacon strips with grease spatting everywhere.